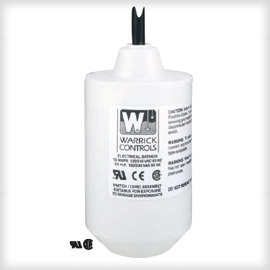 Warrick conductivity level control systems rely on the liquid level sensing capability of probes (electrodes) that are housed inside fittings designed to accommodate one or more probes. These single- or multi-point sensors have no moving parts and the stainless steel corrosion-resistant electrodes can be cut to the desired length. Multiple probes per fitting allow control of several functions in less space with less expense for equipment and installation. For OEM’s we also have the capability to custom configure liquid level control sensors and electrode fittings to meet your specific conductivity level control application requirements. 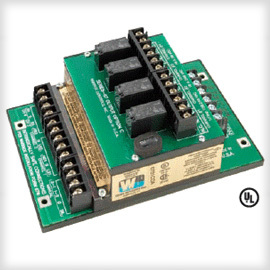 Warrick’s Model 16 controls are a new microprocessor design with solid state reliability. Available as an open circuit board or a plug in module. These general purpose controls were created for single level or differential service. Available with time delays up to 90 seconds. U.L. Approved “Motor Controller” listed. Warrick’s Series 17 Intrinsically Safe control relays are FM approved for use in Class I or Class II, Div I, Group A-G hazardous atmospheres. SPST (Single Pull Single Throw) isolated contacts. They are field adjustable sensitivity by use of external resistors. Warrick’s Series 27 Intrinsically Safe control relays are U.L. – CSA approved for class I, Groups A,B,C,D ; Class II Groups E,F,G and class III hazardous locations. SPDT (Single Pull Double Throw) output contacts. Available in single- and multi-probe models with a variety of fittings. The versatility of the Warrick® design makes these sensors ideal for a diverse range of applications. For use in Boilers, Food Processing, Caustic and Acids, and Sewage and Wastewater. We offer custom level control and alarm panels in addition to standard Warrick level panels. Warrick standard panels include models RA and TA alarm panels. The model RA panels interface directly with conductance probes, float switches, or other contact sensors. The model TA alarm panels are intrinsically safe monitoring panels that are available as single or two channel models. For custom panel work please contact us with your application details including: Number of levels or alarm points, Fill/Drain/Pump operation, etc. McIntosh Controls understands that not every application is a “one part fits all” situation. For specialized products or OEM’s we are here to help find solutions to your problems. 973-433-4700 or click here for a quote.